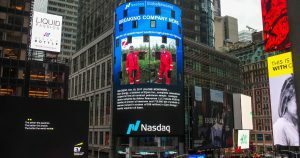 Ziyen Energy wins first US oil contract worth over $36 million - Ziyen Inc.
Ziyen Energy, a division of Ziyen Inc, has just secured over $36 million dollars of oil reserves in Indiana, United States. The deal includes 7 existing oil producing wells worth over $6 million dollars of proven reserves along with a support water Injection well and a water producing well for injection purposes with a further potential for 20 new oil producers on undeveloped reserves on the site worth over $30 million. “We are a Scottish-American Energy company who are focused on pushing energy prices down and not up. For a long time the US has been dependent on cheap foreign oil however, with the increase in renewables and by utilising the latest technology developed in Scotland, we at Ziyen Energy believe the US will be 100% self-sufficient within the next 5 years. Certain statements in this press release including, but not limited to, statements related to anticipated commencement of commercial production, targeted pricing and performance goals, and statements that otherwise relate to future periods are forward-looking statements. These statements involve risks and uncertainties, which are described in more detail in the Company’s periodic reports filed with the SEC, specifically the most recent reports which identify important risk factors that could cause actual results to differ from those contained in the forward-looking statements. Forward-looking statements are made and based on information available to the Company on the date of this press release. Ziyen Inc. assumes no obligation to update the information in this press release.